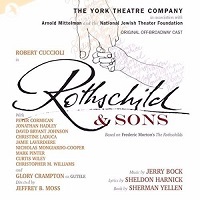 Off Broadway Cast, 2016 (Jay Records) (3 / 5) Here is a major revisal of the 1970 musical The Rothschilds, cut down to one-act and including several previously unheard Jerry Bock-Sheldon Harnick songs, plus some revisions by Harnick. The romance for son Nathan and the big ensemble numbers are gone, and the political leaders’ roles have been trimmed. 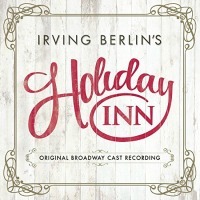 The cast totals 11, compared to more than 30 on Broadway; when Mayer Rothschild (Robert Cuccioli) sings a shortened version of “He Tossed a Coin,” it’s clear that the Frankfurt fair isn’t crowded. Joseph Church has reorchestrated the score for four players, compared to Don Walker’s sumptuous originals. 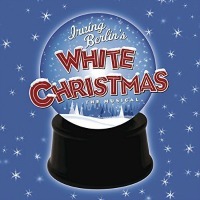 What if anything in this York Theatre Company production compensates for the loss of size and spectacle of the original? Lyricist Harnick and librettist Sherman Yellen (composer Bock died in 2010) had long wanted to refocus the story on the Rothschild family and less on the sprawling European setting. In this, they succeeded; Rothschild and Sons is an intimate piece that emphasizes feelings and relationships. Mayer’s wife, Gutele — a moving Glory Crampton — is a more significant presence as the action unfolds through her memories. She grows from being satisfied with “One Room” to standing strong against Metternich in the reprise of the driving anthem “Everything.” Crampton also gets the best of the added songs, “Just A Map,” in which she frets over her sons as they crisscross wartime Europe. Nathan (Christopher M. Williams) has lost his silly patter number, but here he makes mistakes on arrival in England (“Tea’s Hot”) and then butts heads with his father in “He Never Listens.” The heart of the show is Mayer, the father. Cuccioli’s voice sounds terrific — his “In My Own Lifetime” is rousing — yet he lacks the warmth and humor that Hal Linden found in the character. On the one hand (as another Bock-Harnick character said), it’s wonderful that this revisal may grant new life to the show. 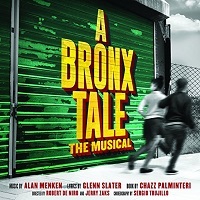 But on the other hand, while there are plenty of musicals about families, how many are as daring as The Rothschilds — set in the chaos of late 18th-early 19th century Europe, about a family relying on financial maneuverings and political cunning to survive, with a rich score evoking late Baroque and classical masters? Stick with the original. — L.F. 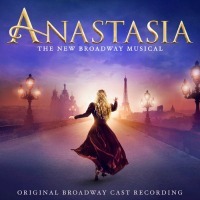 Original Broadway Cast, 2017 (Broadway Records) (3 / 5) Twenty years after its premiere in movie theaters, Anastasia arrived on Broadway with Ahrens and Flaherty expanding upon their original score and Terrence McNally coming in to add a more serious mind and historical context to the piece. 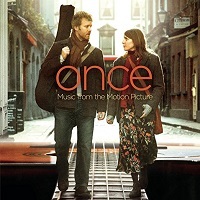 However, in trying to honor the animated film as well as give the musical a more realistic perspective, the resulting score is uneven. 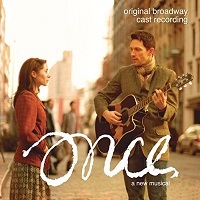 “Journey to the Past” and “Once Upon A December” remain high points, with Christy Altomare a more than worthy successor to Callaway, though the smaller Broadway orchestrations — once again by Doug Besterman — do them a slight disservice. And while Ahrens and Flaherty have been able to add a few welcome numbers to flesh out the characters (“My Petersburg” and “In a Crowd of Thousands”), the additions to the score feel disconnected from the ’90s originals in tone and style. Also, Ramin Karimloo, while serving as a more realistic villain than the film’s Rasputin, is sadly wasted as Gleb, a Russian officer in the new regime. 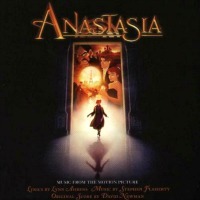 His rich tenor is underused in the score’s two blandest songs, “Still” and “The Neva Flows.” That said, the album is a much more fulfilling listening experience than the film soundtrack, and Altomare is a charming Anya. Also, Caroline O’Connor and Mary Beth Peil respectively bring jolts of energy and gravitas to their roles of the Countess Lily and the Dowager Empress. — M.K. 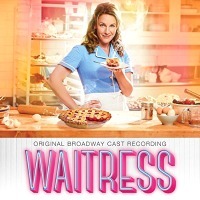 Original Broadway Cast, 2016 (DMI Soundtracks) (3 / 5) This recording preserves the score for Waitress as presented on Broadway, with a fair amount of dialogue included on the album, vocal arrangements beefed up, and seven new songs added (“Door Number Three” has been revised to become “What Baking Can Do”). It all feels a little overstuffed. Part of what made Waitress work so well on screen were the grounded performances and the simple, almost quaint way in which the film presented itself as a story of everyday people dealing with everyday situations. 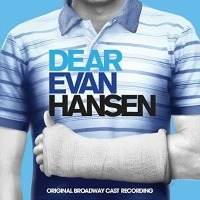 By comparison, the Broadway production and this recording are much broader and flashier, and the material suffers because of it; many songs are overwhelmed by the arrangements or lose their emotional potency due to performances that lean more towards caricature than humanity. 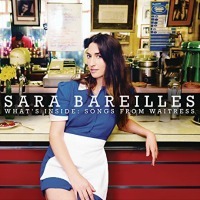 Also, some of the additional songs — for example “It Only Takes a Taste” and “I Love You Like a Table” — are not as strong as those Bareilles first presented on the concept album. 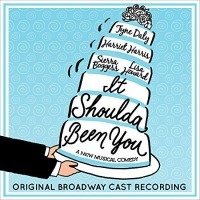 On a positive note, the cast is made up of stellar singers. They bring to the score a Broadway shine that makes the album easily listenable, even if it’s not the best style for the piece. 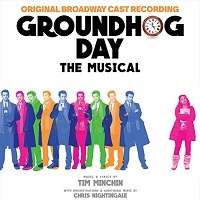 The best thing about the recording is Jessie Mueller in the central role of Jenna. Her voice is essentially as sweet and smooth as Bareilles’, yet versatile enough to delve deep into dark emotional territory and bring aching power to “She Used to Be Mine.” In addition, Mueller is a smart actress who offers the most realistic performance to be heard here. Every time she’s front and center, she wipes away the glossiness that coats the rest of the album, and she brings back the score’s heartbeat. — M.K.